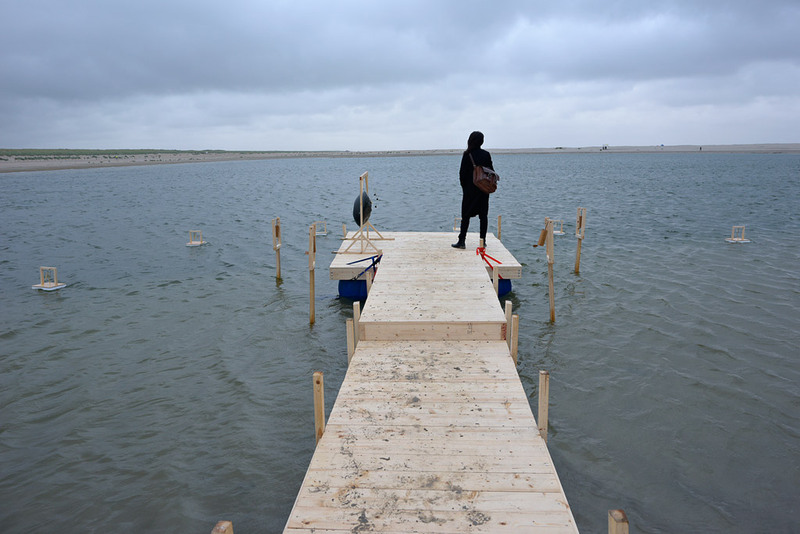 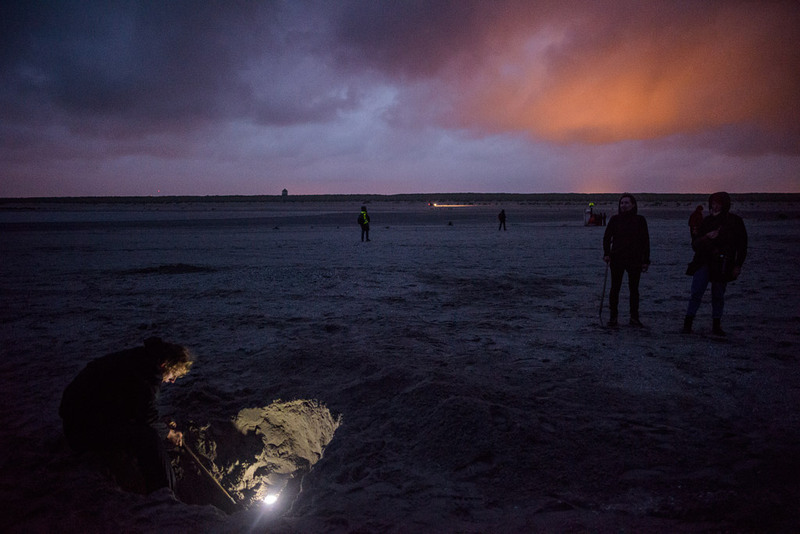 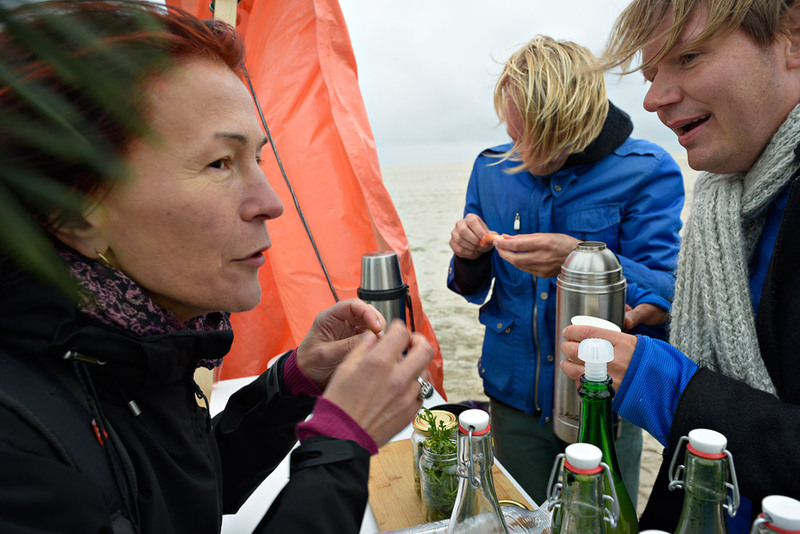 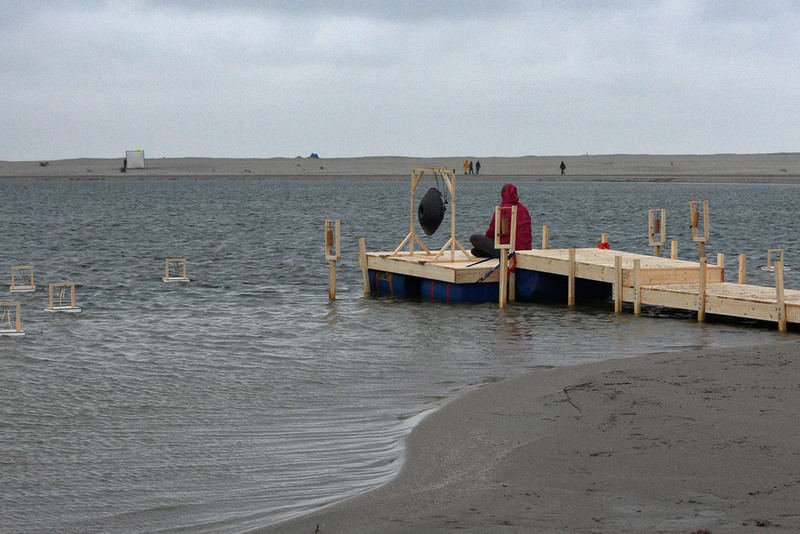 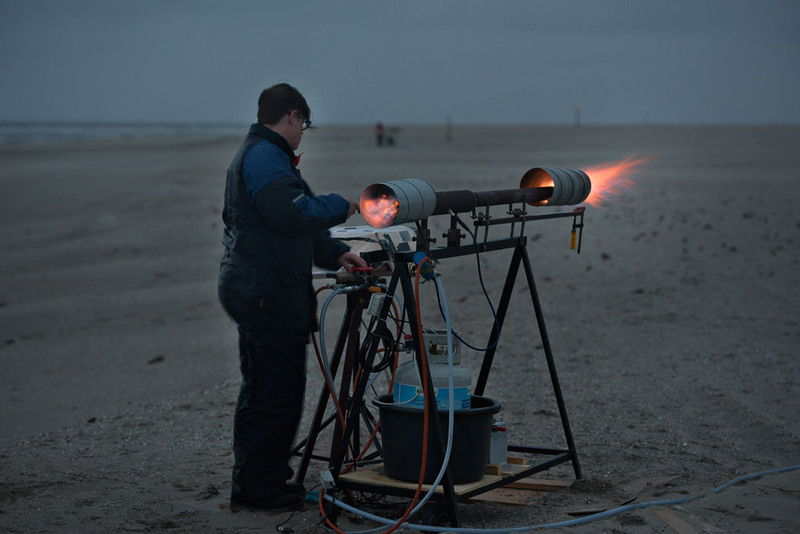 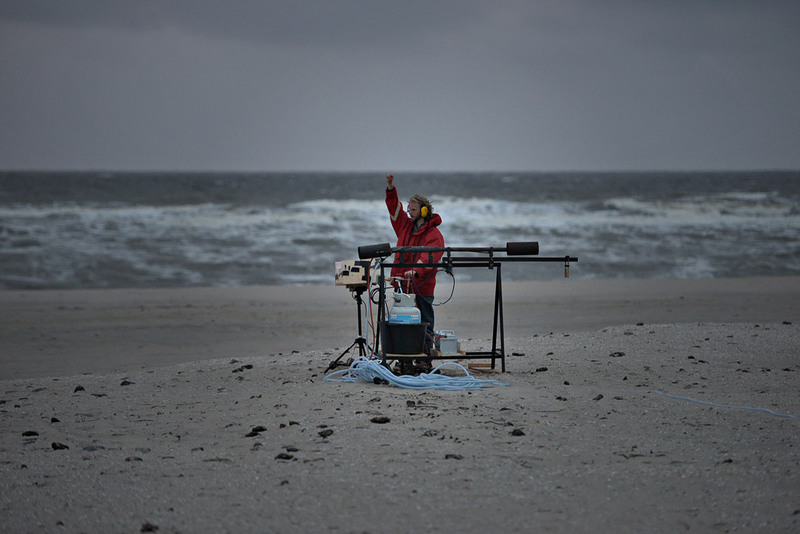 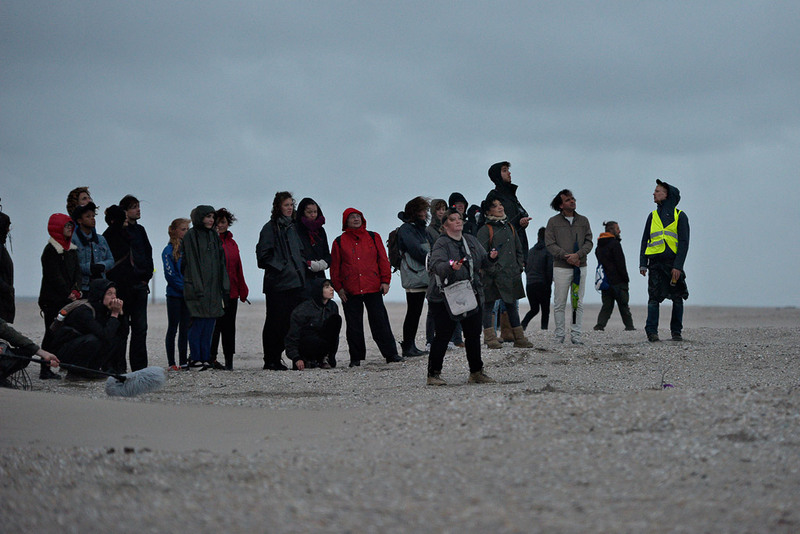 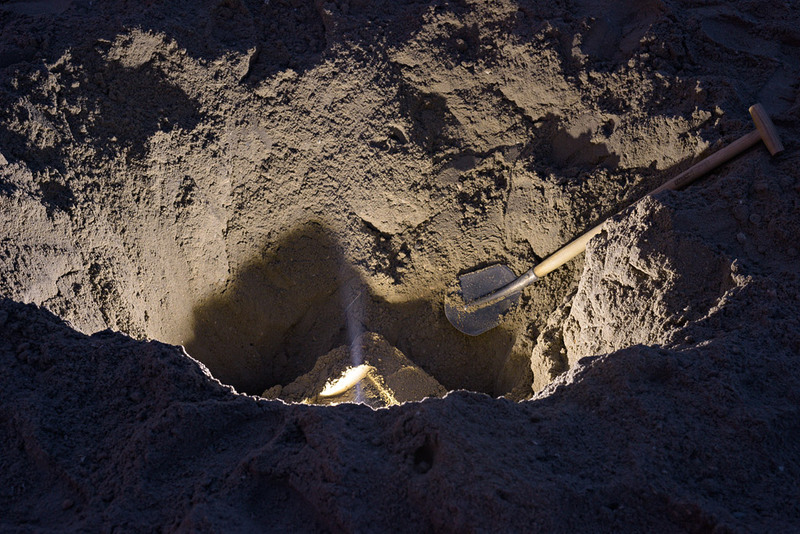 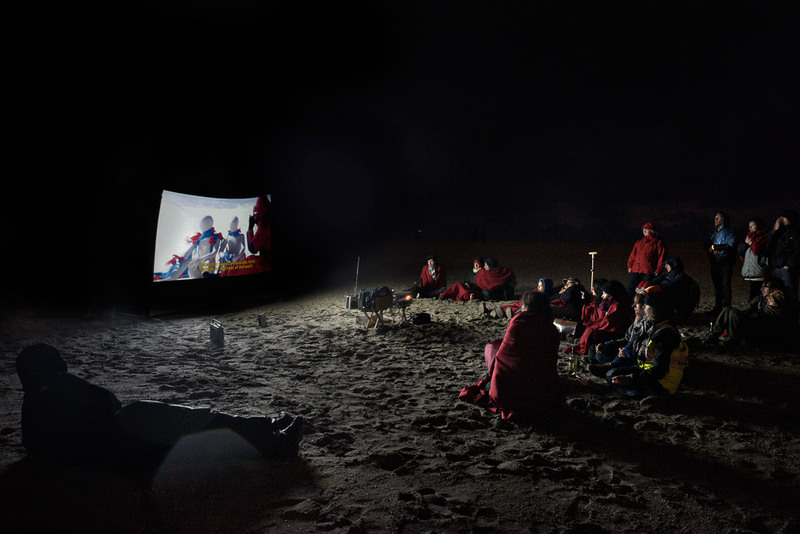 Sand Songs was a program specifically conceived for the Zandmotor by an international group of interdisciplinary artists and students that were invited to imagine this location in the terms of a musical instrument that is performed by human activity as much as by the natural elements. 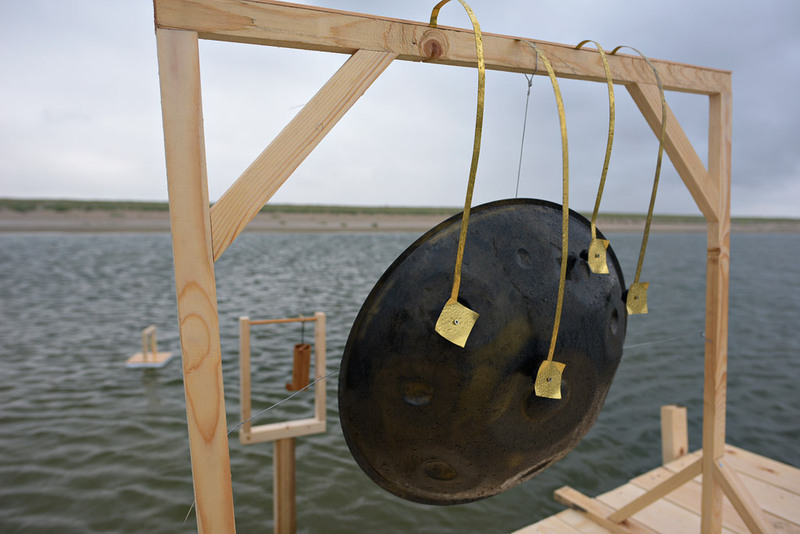 With works by: Marije Baalman, Lars Kynde, Tobias Lukassen, Christian Liljedahl, Ana Lemnaru, Grzegorz Marcinak, Maya Verlaak, Adam Basanta, David Pocknee, Tena Lazarevic, Jesse Smits, Kay Churcher, Cecile Gentili, Sophie Rust. 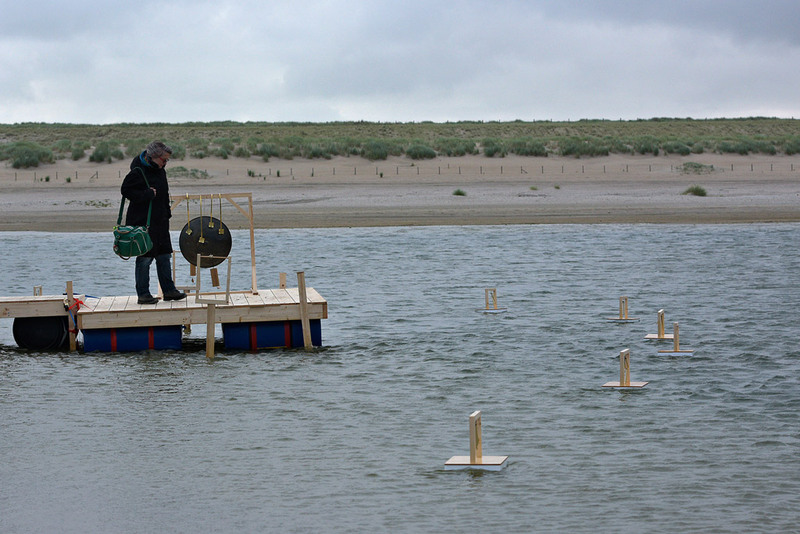 The Zandmotor is an artificial peninsula with a surface of around 1 km2 located on the coast of South Holland between the towns of Kijkduin and Monster. 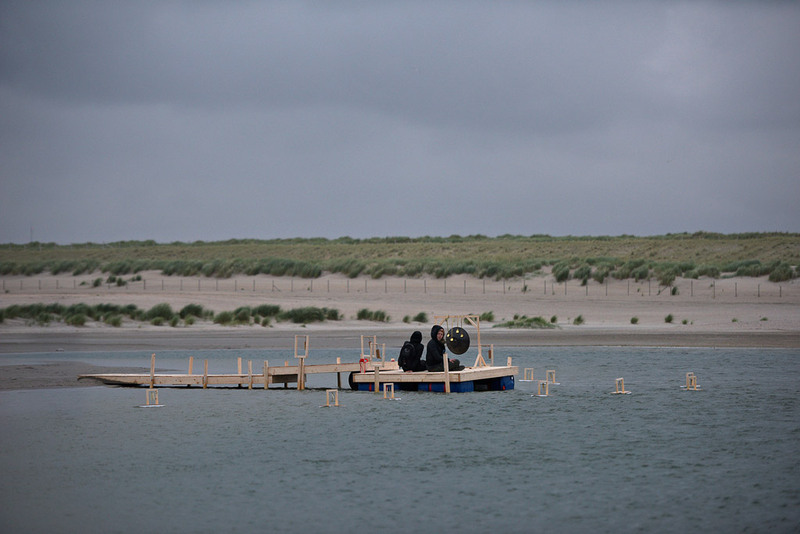 Based on the concept of “building with nature”, the Zandmotor was created in 2011 as a defense against coastal erosion. 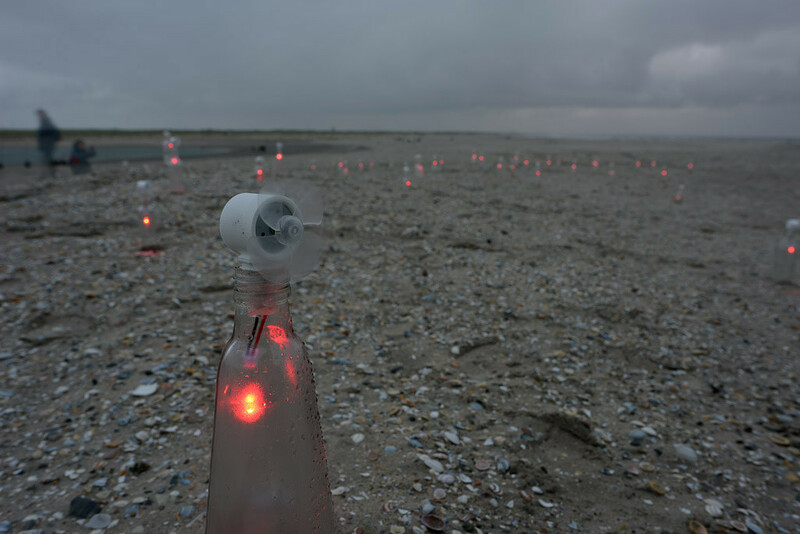 This experimental solution uses the natural movement of the tides to replenish the beaches in the surrounding region. 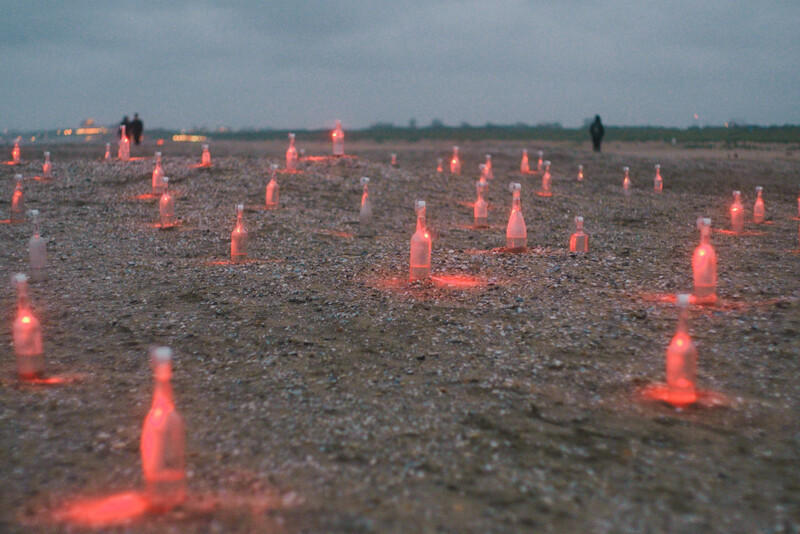 Almost as an ephemeral land art intervention, the Zandmotor is expected to disappear within 20 years. 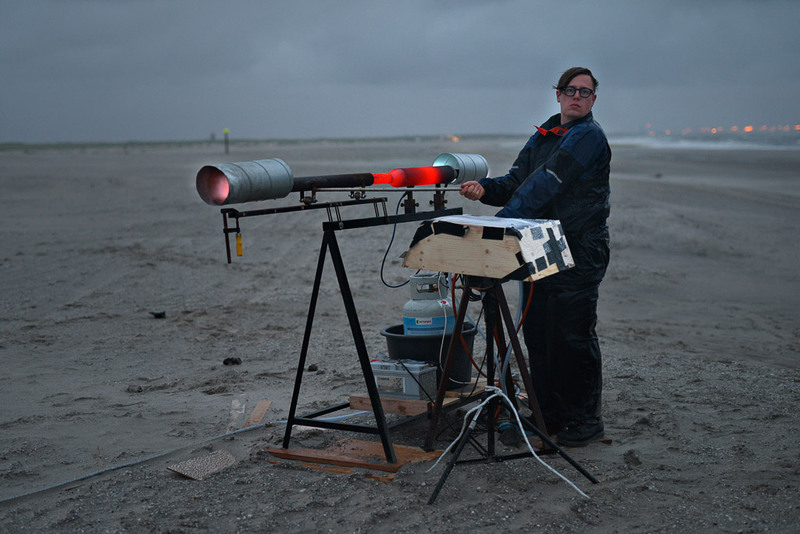 Sand Songs presented several new works originating in iii’s guest residency program: Wind Instrument by Marije Baalman, in which flying a kite is turned into a new way to make electronic music, Pulse Jet Symphony by Lars Kynde, Tobias Lukassen and Christian Liljedahl, in which the technology of jet engines developed for V1 rockets during WWII is employed to compose music articulating the speed of sound on a geographical scale, and Digging Piece, by Adam Basanta, David Pocknee, Maya Verlaak, Ana Lemnaru and Grzegorz Marcinak, inviting the audience to take part in a musical treasure hunt, searching for sounding objects buried in the sand. 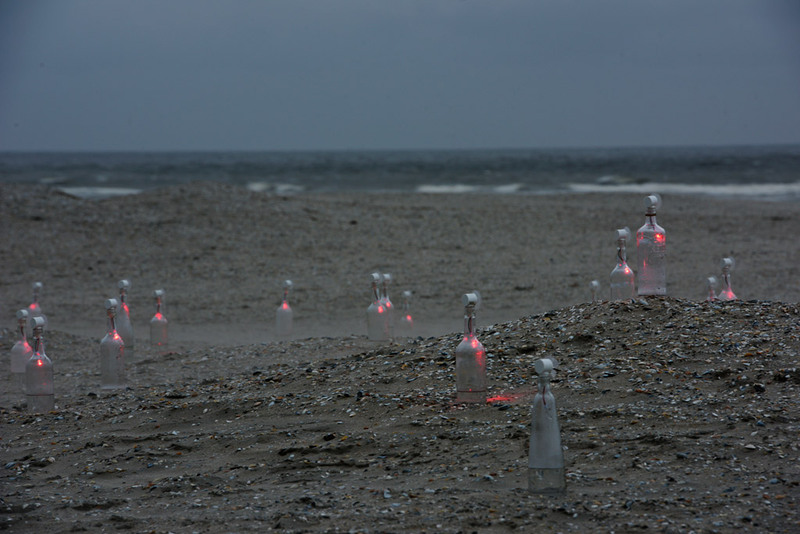 These works were presented in combination with projects of students originating in the Elements Lab directed by Cocky Eek at the ArtScience Interfaculty. 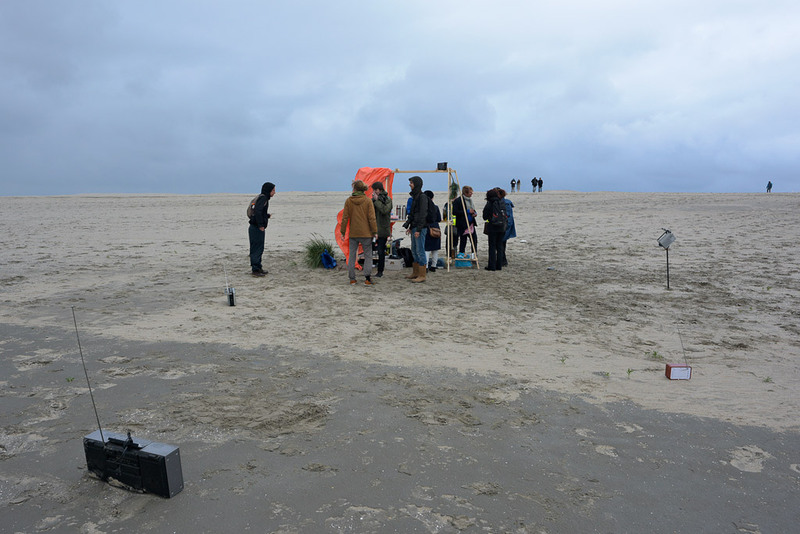 Sand Songs was realised with financial support from Stroom Den Haag and the Creative Industries Fund NL. 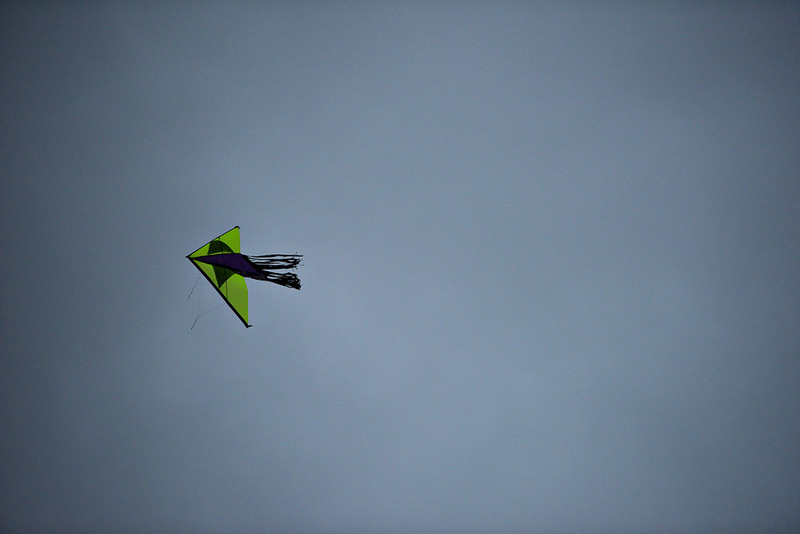 Kiting is like playing an instrument: subtle hand movements have a great effect on the movement of the kite. 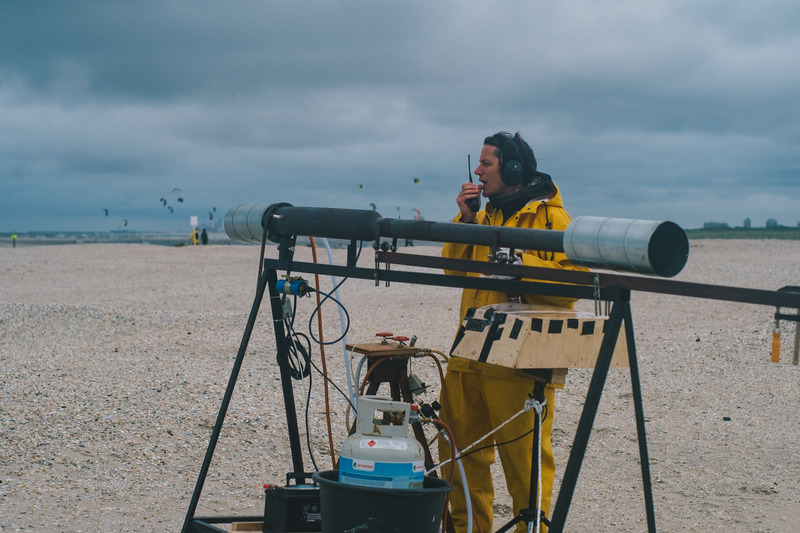 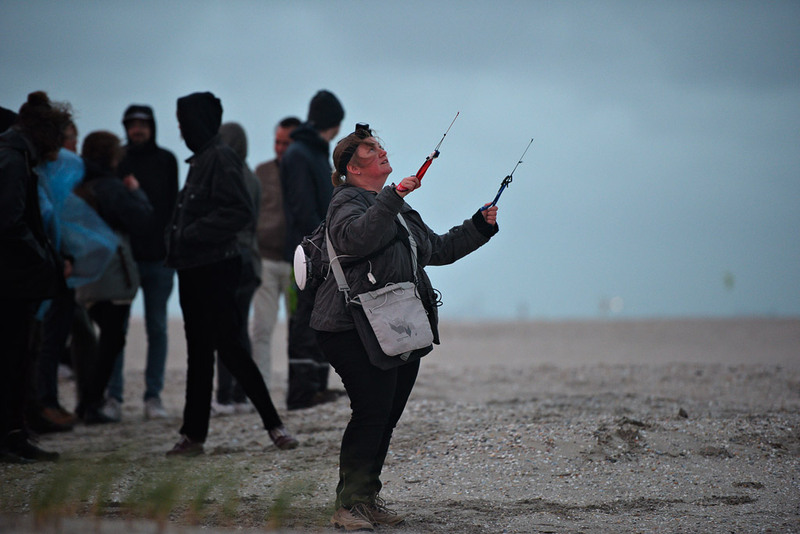 Wind Instrument transforms the kite into a musical instrument using sensors, software and wearable technologies. 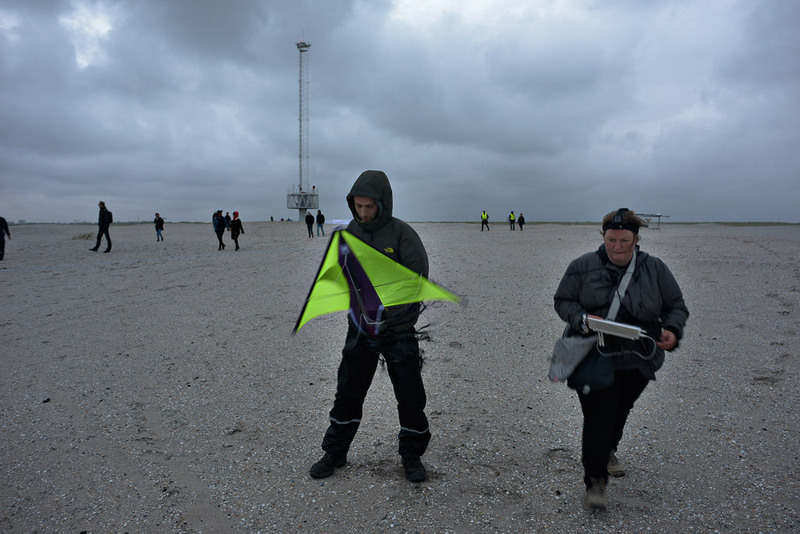 The dialogue between the kiter and the wind becomes a musical composition. 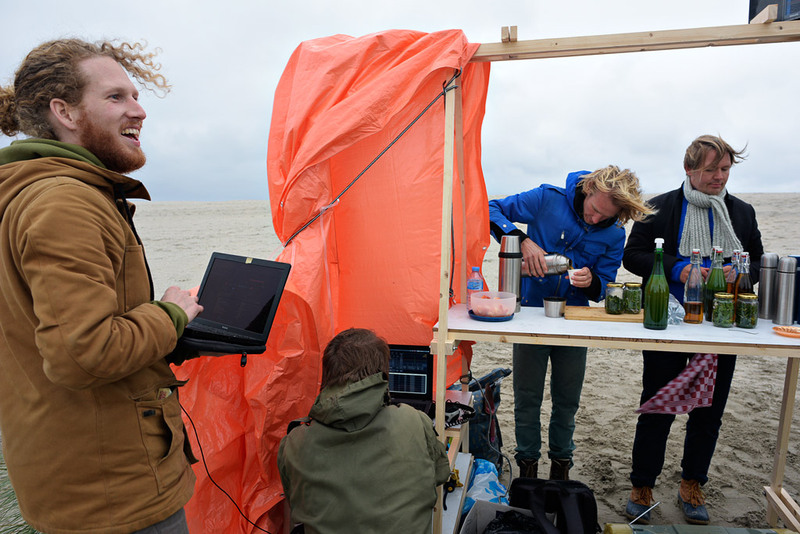 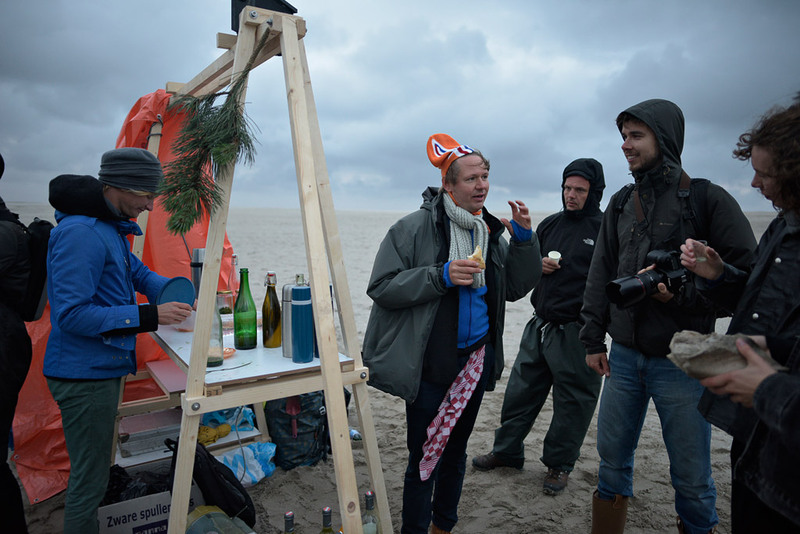 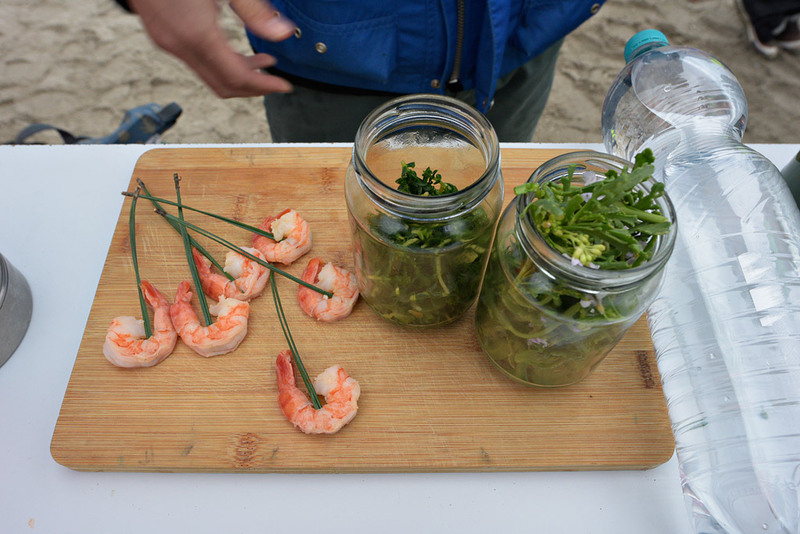 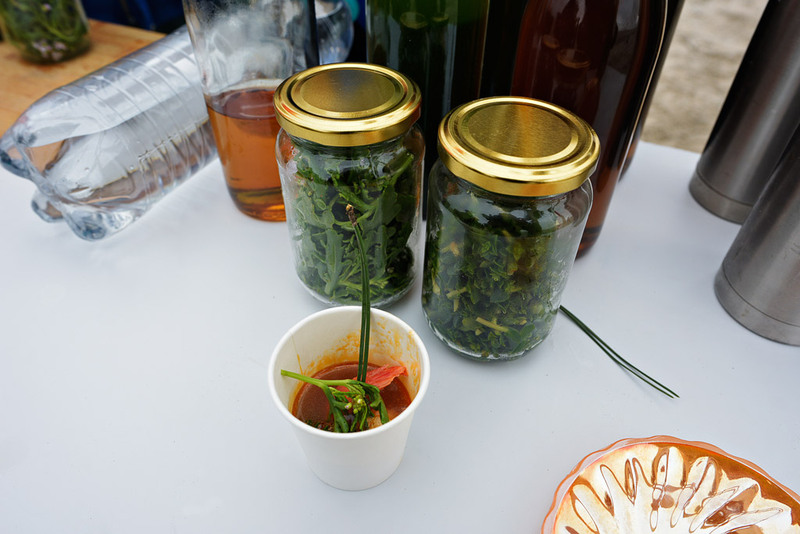 During the academic year 2015/2016, students of the ArtScience Interfaculty worked at the Zandmotor under the supervision of Cocky Eek. 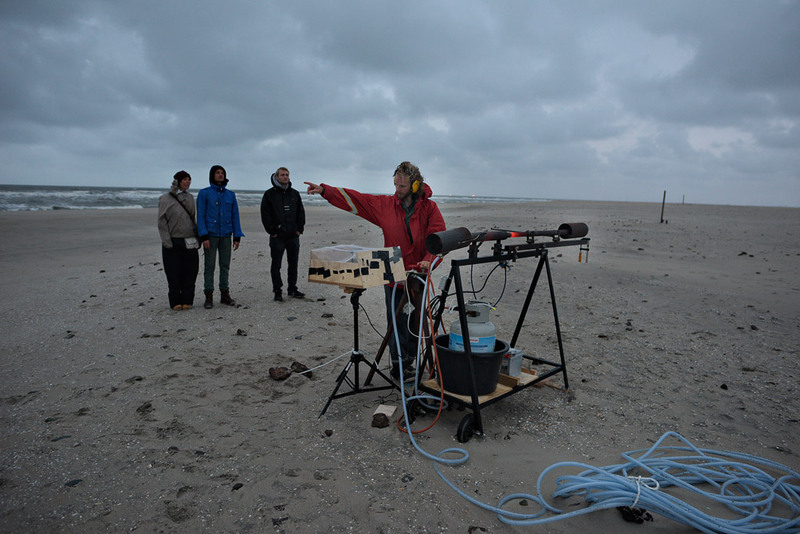 Lab participants Kay Churcher, Cecile Gentili and Sophie Rust presented the outcome of their research during Sand Songs. 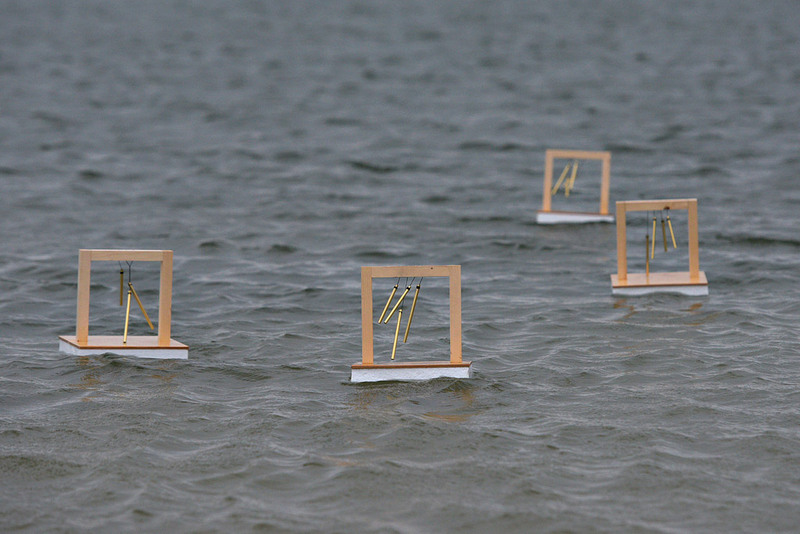 A 30 piece installation of metal sculptures that are turned by the wind. 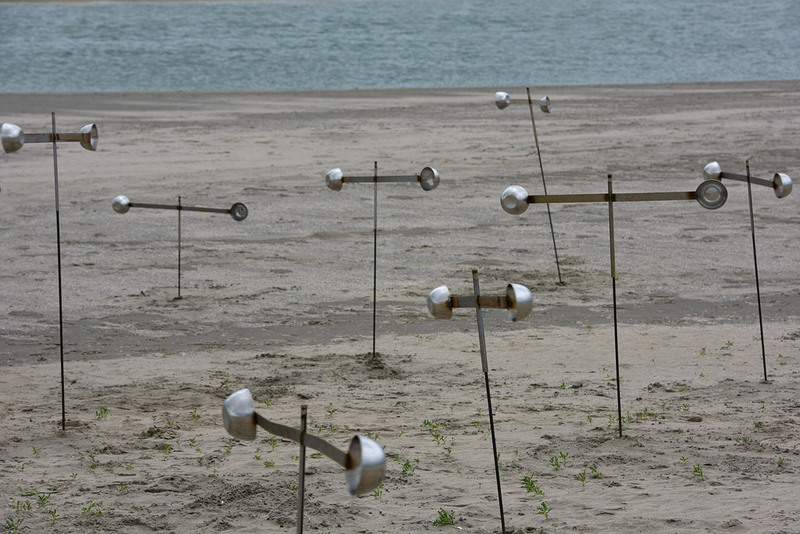 In this field of kinetic works, each piece produces a haunting, abrasive sound as they are put into motion. 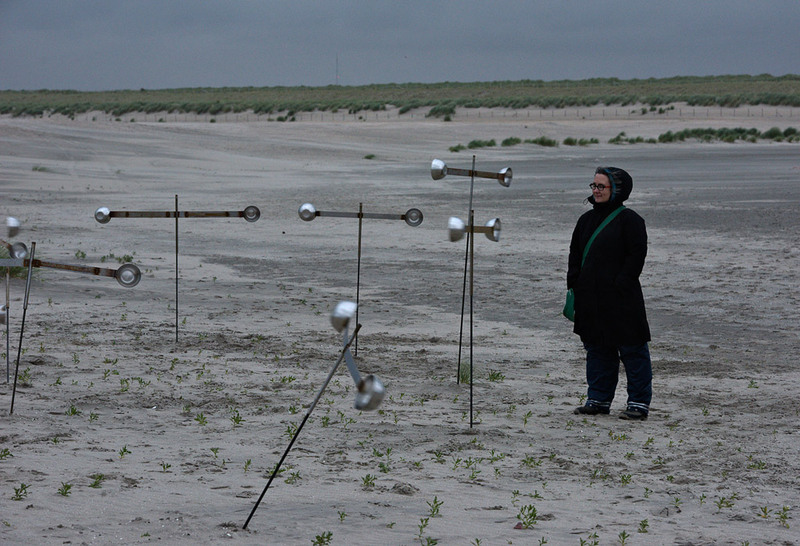 The interaction between these pieces, each of different heights and dimensions, produces a conversation between the variety of sounds. 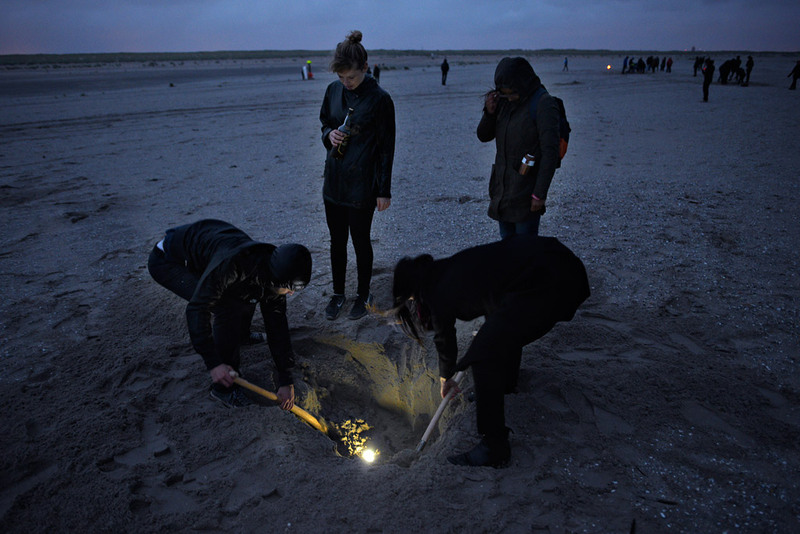 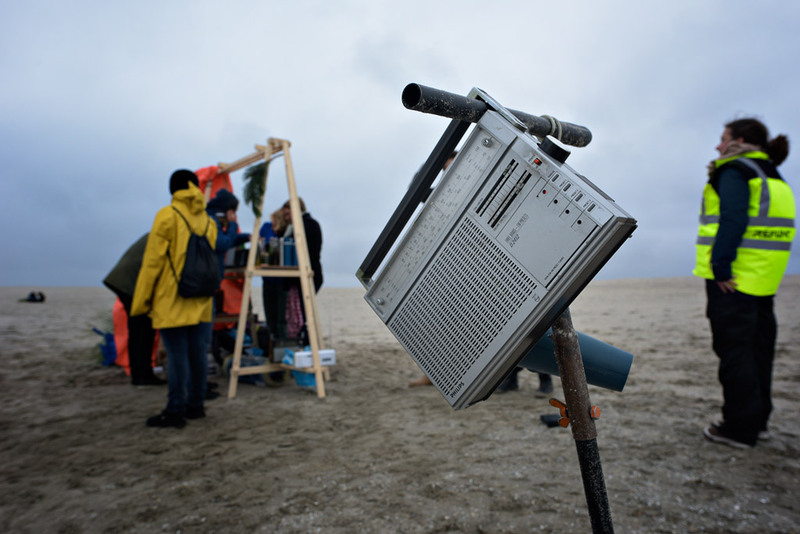 A sound walk exploring the Zandmotor, creating awareness of our sonic and sensorial environment. 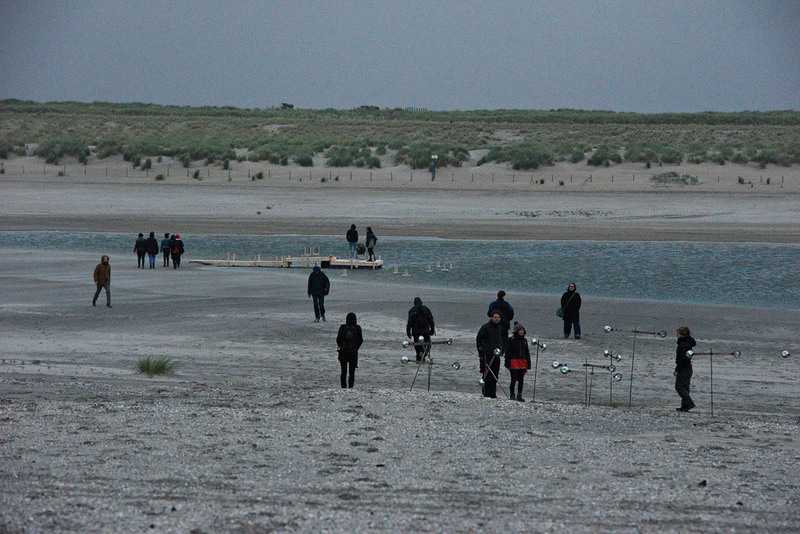 Each walk involved a group of participants and guides. 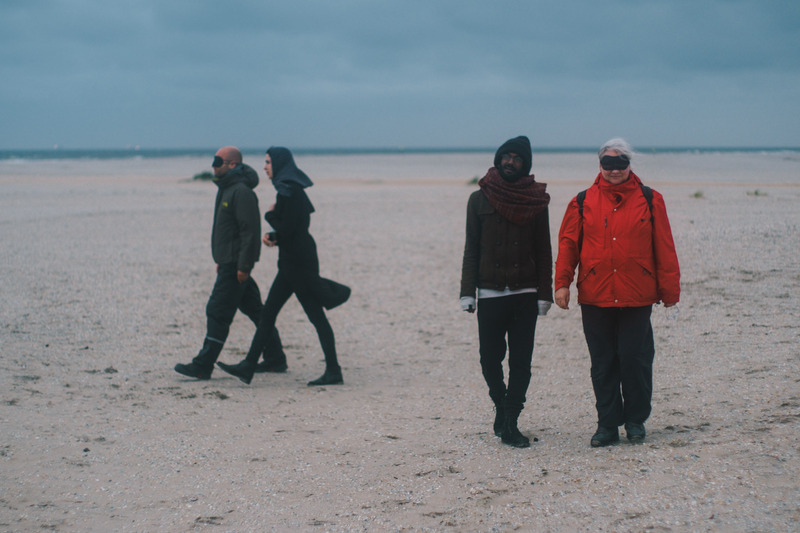 The guides lead participants on a blindfolded walk. 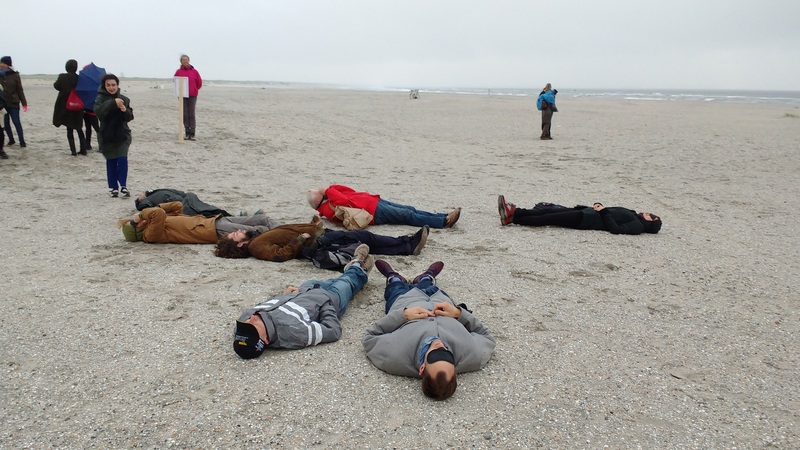 Then participants then took off the blindfolds and retraced the walk together, exchanging impressions on the experience. 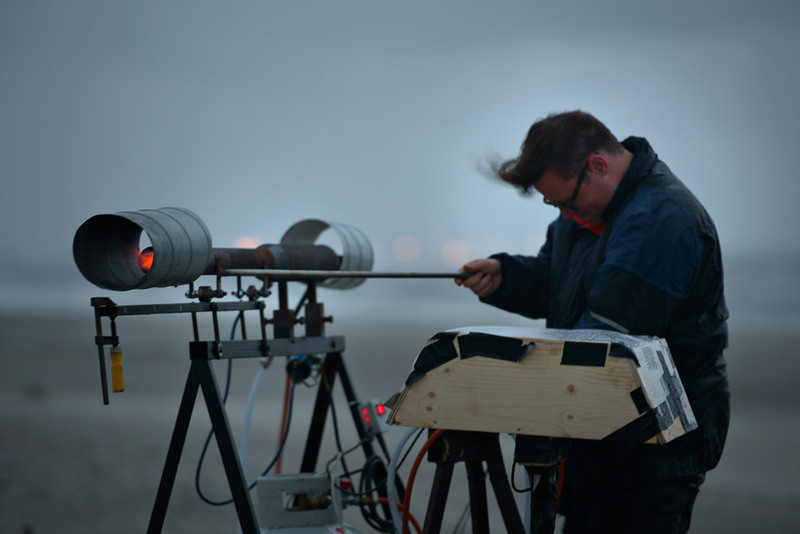 Aurora is an installation visualizing the motion of the wind. 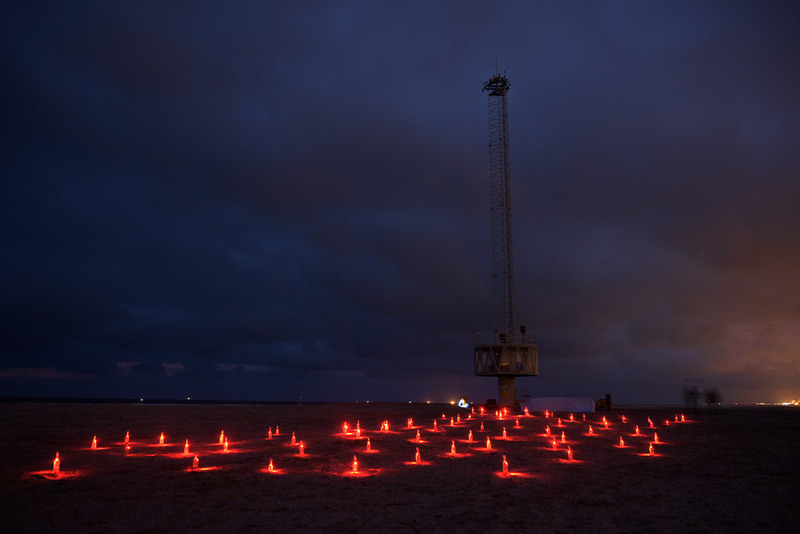 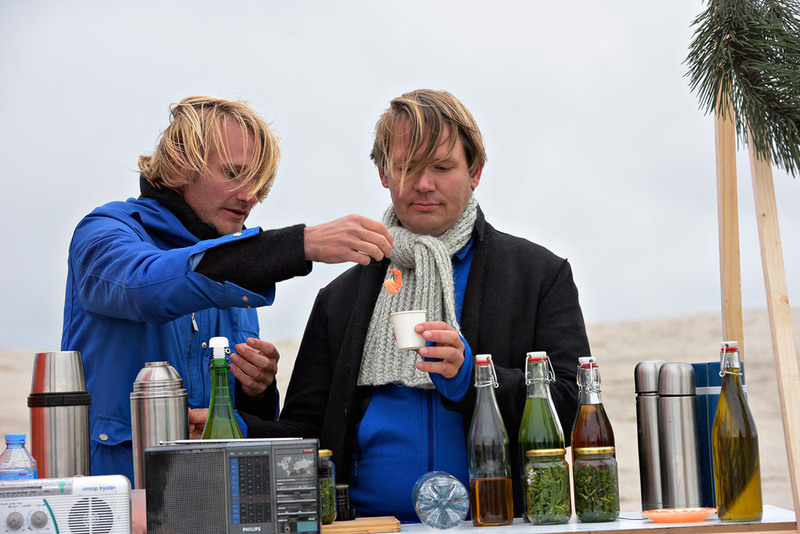 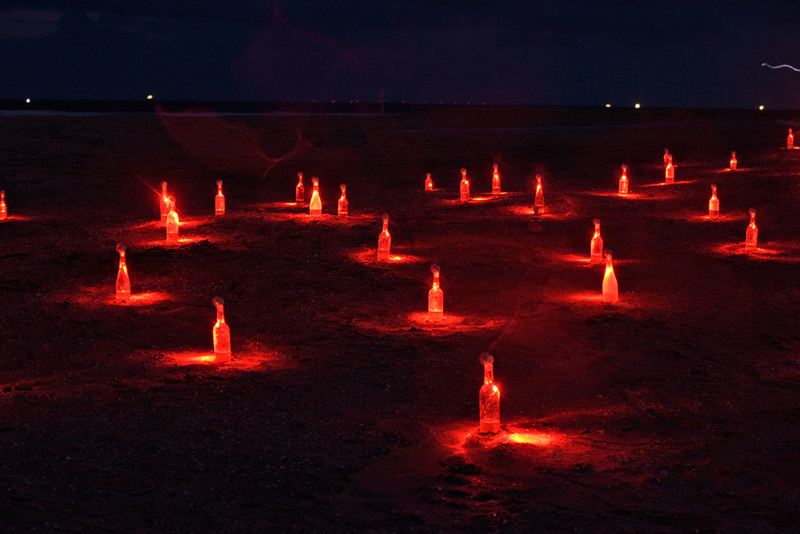 75 bottles each containing a wind generator powering an LED lamp are spread out over a sand dune, like reverse candles that light up when blowing on them. 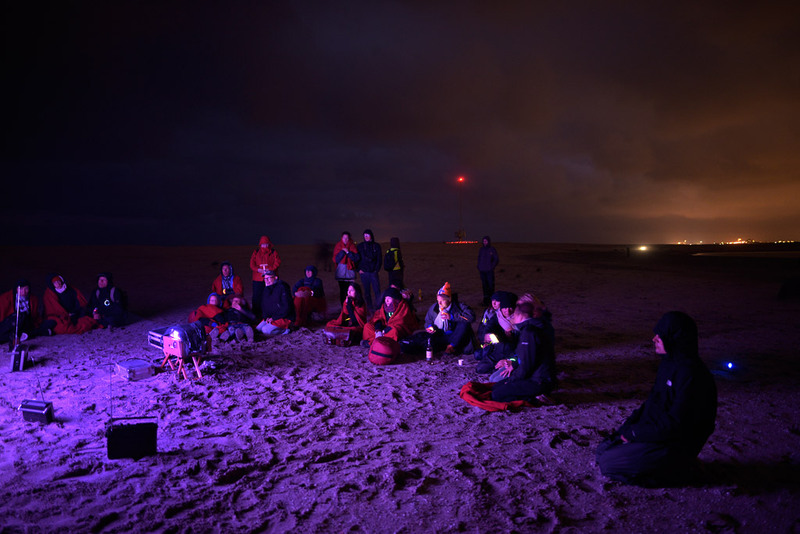 As the wind rushes over the sand the lights come alive, making perceivable the variations in wind velocity at different points in space. 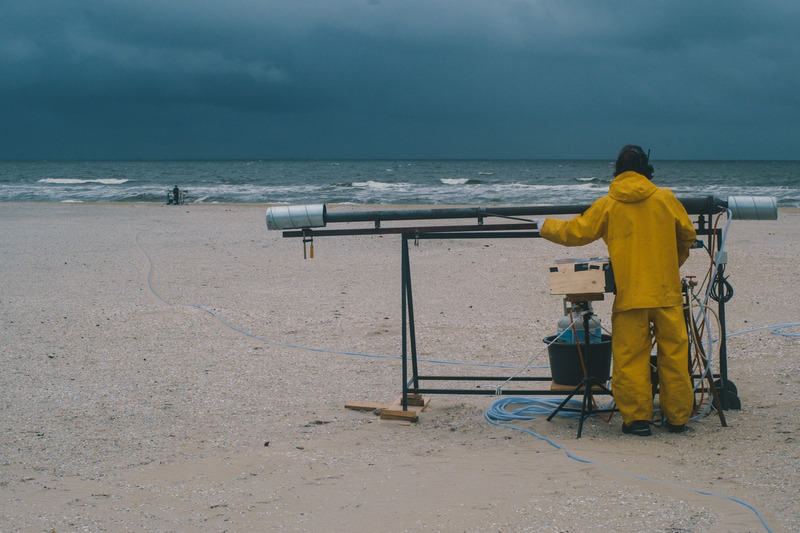 The evening ended with: Climate Proof, a film by Esther Kokmeijer in collaboration with Satellietgroep , and also featured an unusual cocktail bar Tasting the Zandmotor: Waterpionier by Satellietgroep & De Onkruidenier as well as a very localized pirate radio station FM Zandmotor Radio with Fauna.